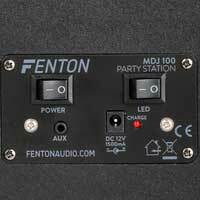 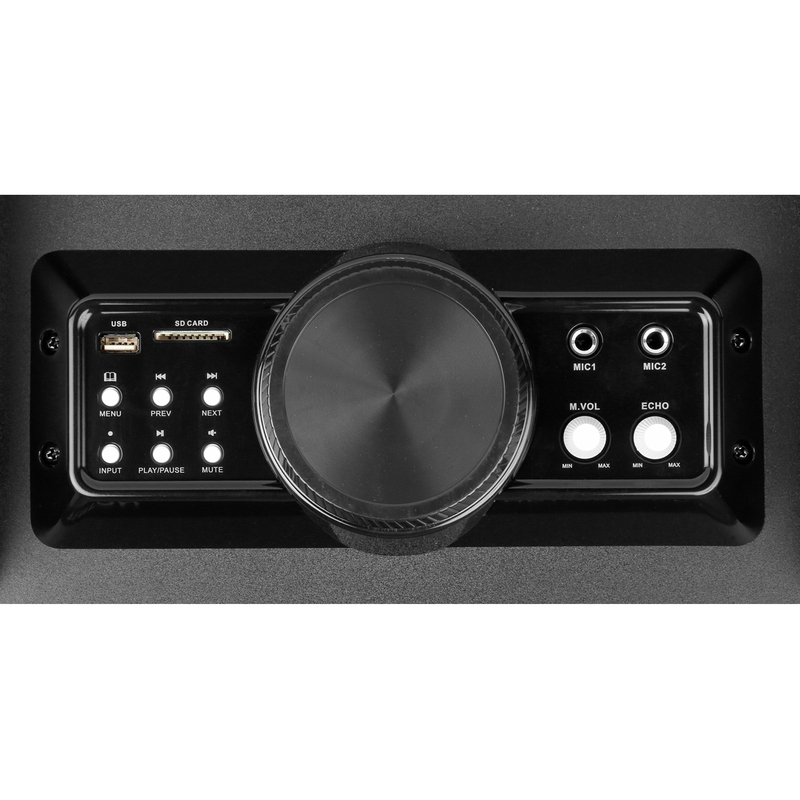 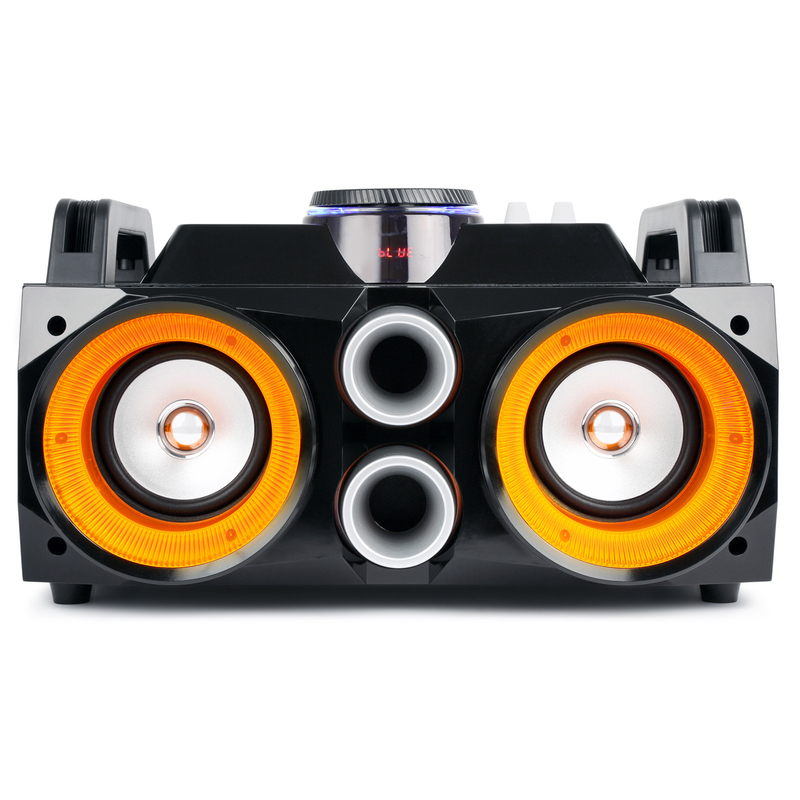 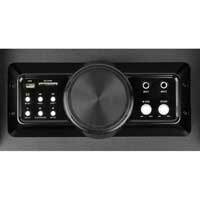 With the MDJ100, creating a party out of nowhere has never been so easy. 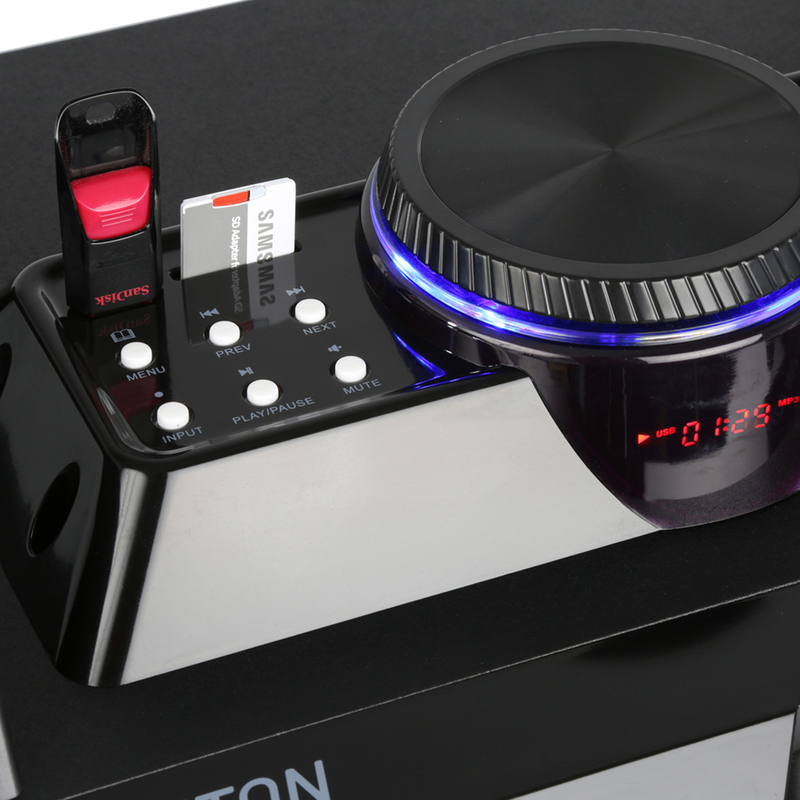 Simply bring an external hard disk with your music collection and connect it to the USB input on top of the party station. 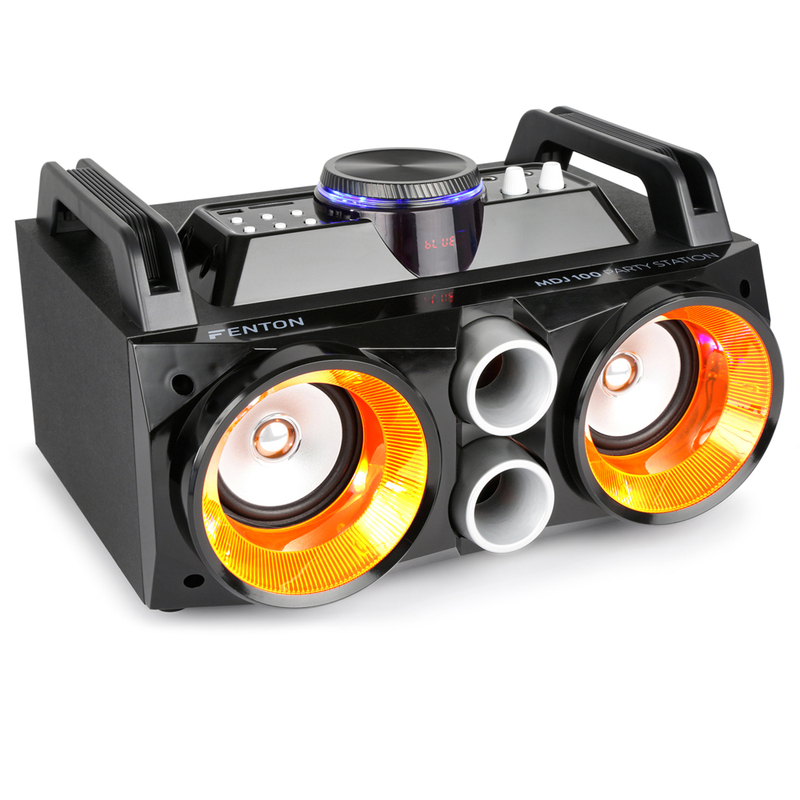 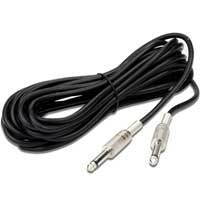 You can also connect your smartphone over BT or use the Aux input on the back. 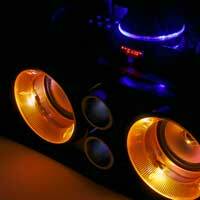 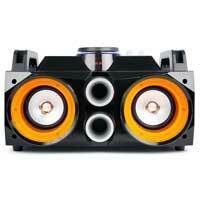 Each speaker has a pair of RGB LED's that will light up the cone of the woofer and add a spectacular light-show. 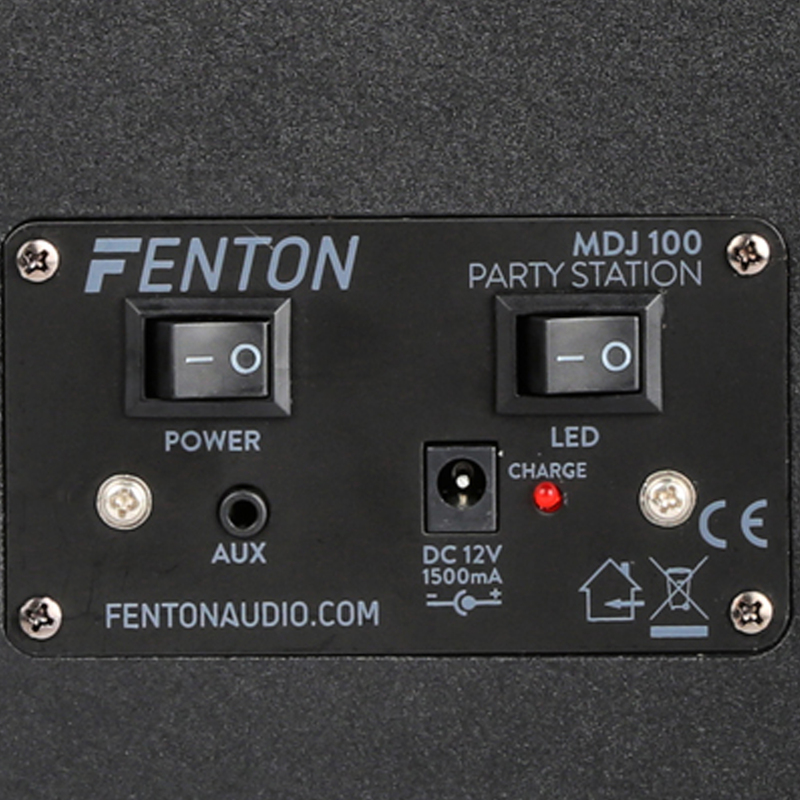 The built-in battery gives you ultimate flexibility in where to place your party station and host your party.